Giovanni is one of the most successful expressionist pianists of the 21st Century. Composer, recording artist, arranger, performer, inventor, and cartoonist. One hundred twenty thousand CDs sold in one 120 minute segment on QVC! A record that still stands as one of Giovanni’s outstanding achievements. Selling over four million CDs during his appearances on QVC and The Home Shopping Network alone. Giovanni also produced, directed, and hosted “Giovanni’s World of Music,” a TV series broadcast on stations around the world. The show was distributed by Warner Brothers Television. 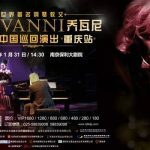 Both “Giovanni’s World of Music” and Giovanni himself have been nominated for and received several awards from the National Academy of Television Arts and Sciences, The Telly Awards, EMA, and the New York Festivals. His specials on PBS are still being replayed. 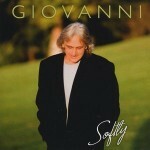 Giovanni has recorded over 150 CDs and two DVDs from his TV specials. Today he continues to compose, teach, record, and perform for audiences around the world. While in Las Vegas, Giovanni developed a close friendship with Frank Sinatra that lasted until his death. 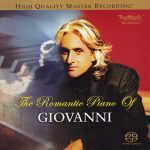 How can you buy Romantic Piano of Giovanni cd? When you click on it, it goes to the Softly cd on ITunes. bellissime le clip video romantiche come potrei riceverle?